Cloud Server is cheaper. VPSDime 6GB RAM OpenVZ instance costs $7/month, Aruba Cloud 1GB instance VMWare instance costs 1 Euro/month. Here Are the Steps Describing How To Configure Cloud Server Instance as Syslog Server. We Used Ubuntu 16.04 and KeyCDN as Example Usage. RSYSLOG means the rocket-fast system for log processing. 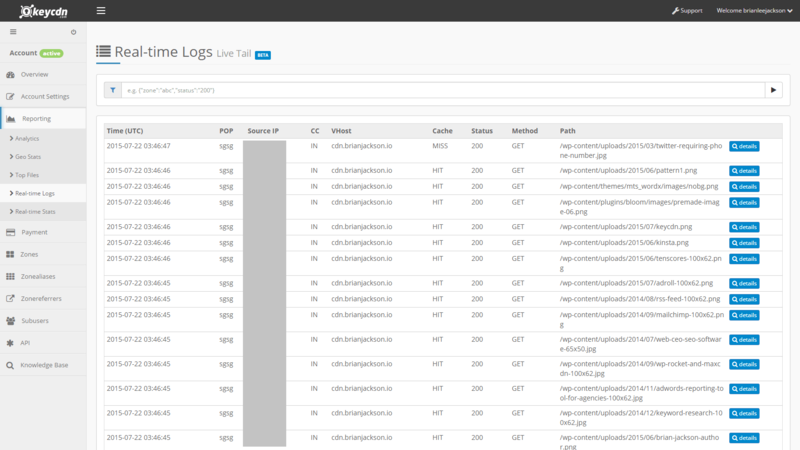 Rsyslog is a Free Software for forwarding log messages in an IP network. The above is correct setup, in case you /var/log/messages get flooded, add the above config before the entry of /var/log/messages rule on /etc/rsyslog.conf and empty the lines on /etc/rsyslog.d/10-custom.conf. can be found as User ID from KeyCDN Account Details link on dashboard. Also you need to configure syslog server from KeyCDN Dashboard, go to Account Settings, then Real-time Log Forwarding option menu. The log forwarding will take some time like 5-10 minutes. Now we can use Elasticsearch and Logstash tools to transform, and store log data as next steps. This Article Has Been Shared 8878 Times! Cite this article as: Abhishek Ghosh, "Configure Cloud Server Instance as Syslog Server (Ubuntu 16.04)," in The Customize Windows, January 20, 2017, April 25, 2019, https://thecustomizewindows.com/2017/01/configure-cloud-server-instance-syslog-server-ubuntu-16-04/.